Do you think something is holding back your factory’s productivity? The best thing you can do is a survey of your operation to identify where the issue lies and what you can do to address it. 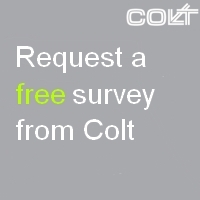 In this video, Colt experts Paul Langford and Bradley Smith describe the process they follow when carrying out a factory productivity survey, explaining the five steps they run through. In a previous article, “3 ways to discover if factory productivity is holding you back”, we explain the areas that an effective survey should cover. You can get an understanding of the process to follow and download a helpful guide to preparing for a factory survey. If you would like to find out whether there is more you could do to improve your factory’s productivity, check out our article on “How to improve factory productivity – identify the problems”. Paul Langford is an Engineering Director at Colt UK with experience in product development, manufacturing and testing for HVAC, solar shading, louvre systems and smoke control applications.